An Interview With The Hip Hop Artist SLUM VILLAGE’S, YOUNG RJ! 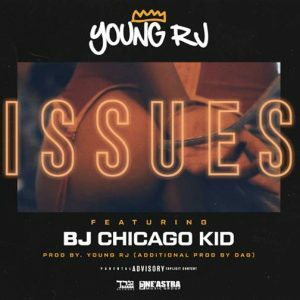 Continuing with his well received solo project, ‪Slum Village’s Young RJ prepares fans for his new single, “Issues”. Issues is a creative collaboration between artists that share a similar artistry and background. 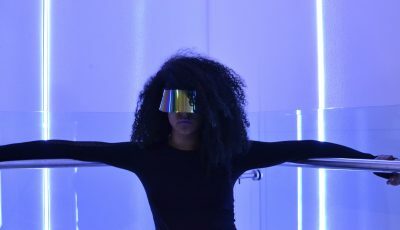 Young RJ delivers thought provoking lyrics with ‪BJ the Chicago Kid finessing the track with his soulful vocals. 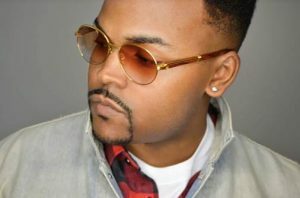 The single was produced by Young RJ and Detroit’s emerging producer, DAG. Issues follows up, “Wait”, his popular track with ‪Boldy James and ‪Pete Rock that premiered on Mass Appeal. Young RJ is setting the bar high amongst his rap peers by linking up with unique artists in the game and creating a new wave that’s undeniable. Previously, Young RJ and ‪BJ the Chicago Kid worked together on “Expressive”, a single off Slum’s album, “YES”. Linking up again on “Issues”, their lyrics paint a picture of our current political climate, inner cities, and of course… personal inner demons. “Issues” is the third single from his debut solo album, “Blaq RoyalT” which is slated for an October 10, 2017 release. Thanks for your time! So where does this interview find you today? Is there music playing in the background? If so, what is it? What’s a song you are loving these days? I’m sitting in the in the hotel on vacation. I always try to have music around me at all times, right now I’m listening to Marvin Gaye albums. I’m not listening to anything new at this time cause I don’t wanna feel influenced by what’s playing on the radio..
Did you approach the start of this year any differently then you did last year? What have been some of the highlights for you this year? Of course I always evaluate last year and improve the plan and work flow…even making more time for working out, because health is wealth… the highlight for the year is this vacation lol been working hard on this album… it’s finally done so I can relax a little. Growing up, did you always want to be a musician? Can you recall your earliest musical memory? Was there ever a time where you thought about doing something completely different? Yeah I always wanted to be a musician. Growing up I saw my parents rehearsing for tours and recording music so this is all I really know…of course as a kid you have hoop dreams and stuff like that, but it didn’t last long. I always like to know how a particular city has influenced an artist. How do you think your hometown has affected the music that you make today? Detroit has been influencing music for over 50 plus years, from Motown, to techno, to hip hop …I think all these influences helped to keep me creative and limitless sound wise. 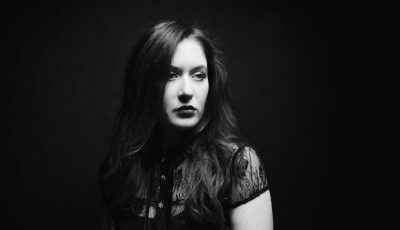 Where does your artist name come from exactly? Why do you think it describes who you are and the music that you create? I was named Young RJ by Kurupt from the Dogg Pound… he was working on music with my father and asked to hear some of my music…he felt the music was super dope and dubbed me Young RJ.. I feels like it fits the music because I’m carrying on the family name..
Let’s talk about your recently released single “Issues.” What was the inspiration for this track? 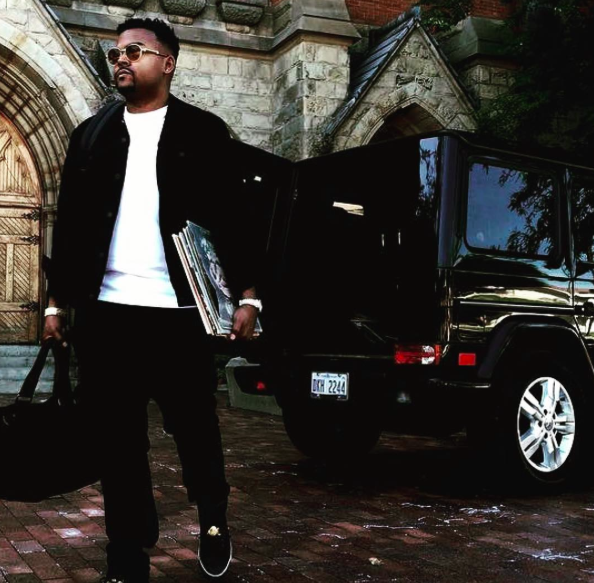 What was it like collaborating with BJ the Chicago Kid on it? It was really just me venting to be honest,…watching the current events that’s going on, how could we not be inspired…working with BJ was dope! Coming from Detroit and Chicago is an unspoken vibe that we have, just being from the Mid West, plus he understands the Issues going on in the world, so it was easy to relate to the song. How do you think “Issues” is different or similar to anything else that you have released? How does it compare to the rest of your debut solo album “Blaq RoyalT” that will be released on October 10th? Issues is similar to the album for sure…this album is definitely talking about something…. the sound definitely has a solid direction, and flow, it’s not a album where 1 song sound is completely different from the other..I took my time to make sure of that. Where do you think you are happiest- on stage, in the studio or elsewhere? Now that the summer is about over, what was something fun you did? It’s been all work this summer cause I’m fully focused, but now that I’m done with the album I’ll be hitting some amusement parks and doing some fun vacay stuff, I’m kinda spur of the moment. Did you get a chance to play out live much? No I wanted to take some time to build up some music, cause I plan on releasing a lot of work… next year I plan on hitting the road to see my fans. How do you think being a musician gives you all the most joy in life today? It allows me to express myself without having to be vocal, to be able to create a mood that someone feels, uplifting their mood for the day is a blessing. Any dope new talent that’s pushing the culture forward. Of course TDE, Cole.. I would love to work with George Clinton, Outkast, it’s to many to name cause it’s so many dope artist out there. What advice would you give to a young person who is considering getting into the music career path? Just that I appreciate everyone that’s supported the music and get ready for the Blaq RoyalT album on October 10th. YouTube Star SAM TSUI Opens Up About His #Samily and His Debut Original Music!